One might consider the pipe organ and mouth organ (harmonica) as strange bed fellows. 2L (Lyndberg Lyd) records does not think so if judged by this release by two Norwegian artists who are instrumental virtuosos in their own right. While some of the cuts are transcriptions of well known classical pieces, Bach flute sonata in E-flat major and Handel recorder sonata in F flat major, others are original compositions or transcriptions of Norwegian folk songs. 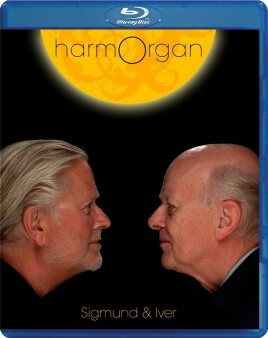 Iver Kleive, the organist and Sigmund Groven, the harmonica player give excellent accounts of their music program. Each has been a prominent soloist in Norway and Groven was mentored by harmonica legend, Tommy O’Reilly. Most first time listeners will find Groven’s original composition “Aria” to be an endearing and particularly moving piece. The remainder of the recital is a somewhat mixed bag as this instrumental combination works better on some selections than on others, the least effective being the adaptations of the straight forward baroque pieces noted above where the tonality of the harmonica does not quite succeed as a woodwind surrogate. The original mastering was done in 352.8kHz-24 bit and down-sampled to 192 kHz-24 bit format. The sense of space in the cathedral location is impressive and airy. This is the hallmark quality of 2L recordings and has justifiably resulted in the label’s receiving a number of Grammy nominations. From your listening positioning, there is a true sense of being there and the resonance and size of the recording is impressive. The organ overtones are well handled and breathiness of the harmonica is properly conveyed. The judicious forward placement of Groven’s harmonica allows it to be clearly heard over Kleive’s mighty organ pipes. There is a brief DVD segment that covers the creation of this recording and introduces us to the artists. A hybrid multichannel SACD is also included. Through my 2-channel set up, it provided excellent sound if not quite as atmospheric as the Blu-ray disc. In spite of this disc’s impressive sonic presentation, the program itself falls somewhat short of its potential promise. The combination of organ and harmonica might have seemed a noble concept but, in performance over time, its novelty wears a bit thin. This is a disc, like a decent port, that should be sampled rather than taken in as a full draught.